The boy's birthday cake was "smashed," and officers "poured peroxide on his presents," a lawsuit by the family claims. Stephanie Bures with her daughter, Samari, left and son T.J. Jackson Jr., right.Courtesy Law Offices of Al Hofeld, Jr. The family of a 4-year-old is claiming in a lawsuit that Chicago Police crashed the boy's birthday party with guns drawn, pouring peroxide on his presents and leaving his birthday cake smashed. The mother, Stephanie Bures, and other plaintiffs in the suit allege the officers had the wrong house in the Feb. 10 raid. The suspect they were looking for had not been a resident of the address for almost five years, the suit says. 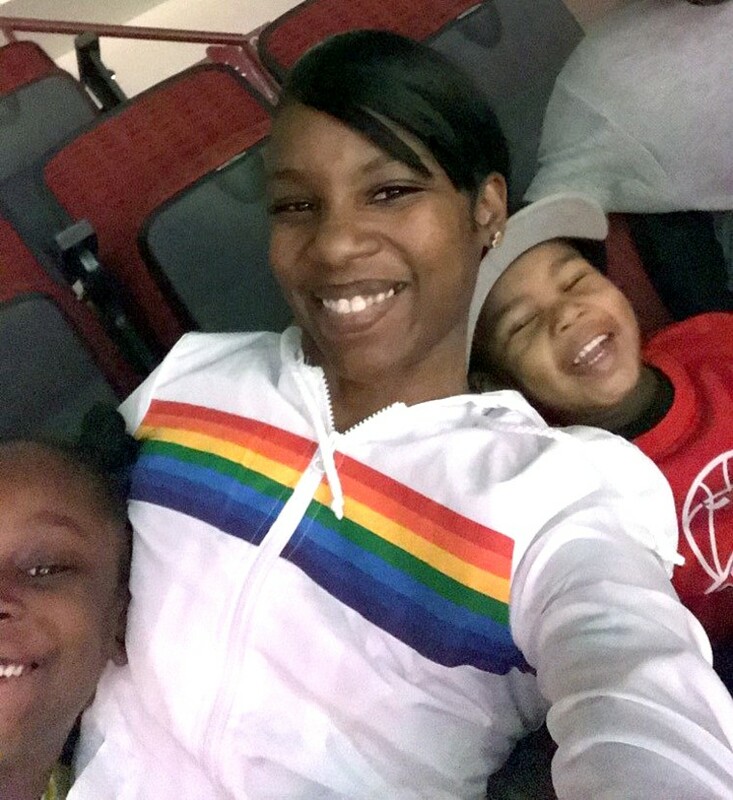 Bures and her family were celebrating the birthday of her son, T.J., in their basement apartment on the city's South Side, when 17 officers raided their home, according to the lawsuit filed in federal court in Chicago on Tuesday. The officers entered the home with their guns pointed toward T.J. and his 7-year-old sister, Samari, as well as other relatives, the complaint alleges. Terrance Jackson Jr with his 7-year-old sister Samari.Courtesy Law Offices of Al Hofeld, Jr.
"The children were afraid that they and their families were going to be shot," the lawsuit says. Police "poured peroxide on his presents," "trashed" the apartment, "screamed profanity and insults," and left the boy's birthday cake "smashed," according to a news release from the family's attorney, Al Hofeld, Jr., on Tuesday. The release also said officers "unlawfully questioned" the two children without their parents present and "joked and laughed throughout the raid." The lawsuit alleges that the police behavior during the raid violated the constitutional rights of the children and their family, and traumatized T. J. and his sister. The officers' actions were "not just the product of an avoidable mistake that was the result of sloppy police work, but they displayed force that was excessive, unnecessary, unreasonable, and without lawful justification," the lawsuit says. TJ's birthday cake that was destroyed by Chicago police when they searched the house.Courtesy Law Offices of Al Hofeld, Jr. The family's attorney said his law firm did an online search of the police's intended target and were able to quickly determine the man's current address. Hofeld also said the raid was not an isolated incident, and that the Bures family's lawsuit is the "fourth of a series of excessive-force cases against the City of Chicago alleging Chicago Police are holding guns on children and terrorizing families on the South and West Sides."